This project is our flagship, the one we've dedicated the most number of hours and the one keeps us busy on a daily basis. 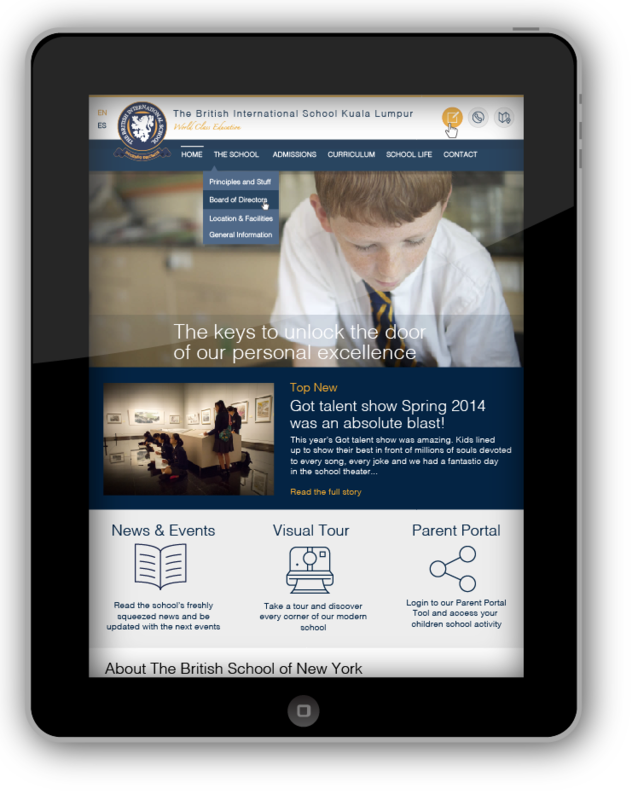 The British Schools Foundation is a non-profit foundation managing several British Schools across the globe. 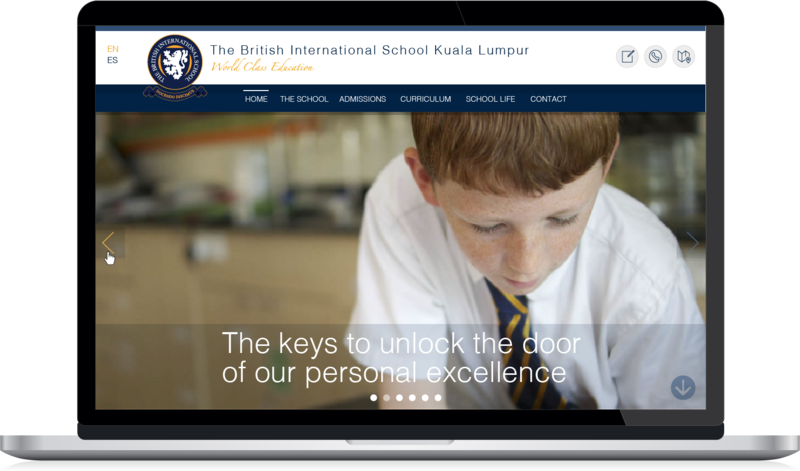 BSF brought us a pretty complex project, the idea was to integrate all their school websites together under the same roof, be able to manage them all from one place and make sure everything was integrated with their Salesforce platform. Of course the site had to have a great design, serious but fresh, equilibrated... the site should be responsive have a complex form to pick up the information of the potential customers and so (so!) many other features. The result is a set of websites connected to the same source, from where BSF's users can edit content of any type and push it automatically to each site... everything is controlled from Salesforce. You can create a responsive website, and this makes your site look almost like an app, but if you want your site to access the phone or tablet of your customers, use the camera, calendar, information balloons, and so much more, then you need an App. You can have an hybrid app (you work once and the app can be used in IOS and Android) or a native app which is an individual work for each platform.